Every new game, every new engine, every new system always has to be playtested to make sure it’s the very best it can be, and the games we make here at Stormforge Productions are no different. So we are asking you to help us out by playtesting our soon-to-be-released games to make sure all the “i”s are dotted, the “t”s crossed, the mechanics are balanced and, at the end of the day, that the game is enjoyable. We will always be wanting playtesters for all our future products, but for now we want to focus on the second Ruined Man adventure book that will be released in December. So if you want to play a thrilling adventure of murder, mayhem and horrors then this one is for you. 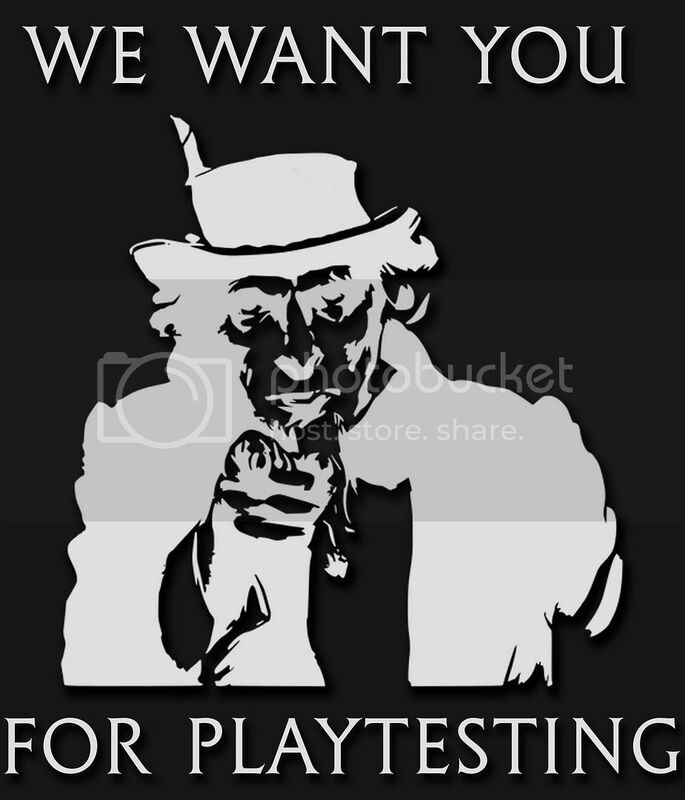 If you are interested in becoming a playtester for us, all you need is a gaming group ready to go and to send us an email at customerservice@stormforgeproductions.com. In return we will give you a copy of The Runed Age corebook and The Ruined City adventure book to get you off to a flying start in the grand city of Middelburg.